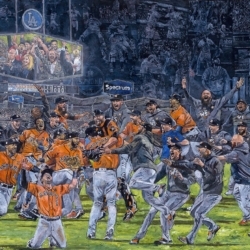 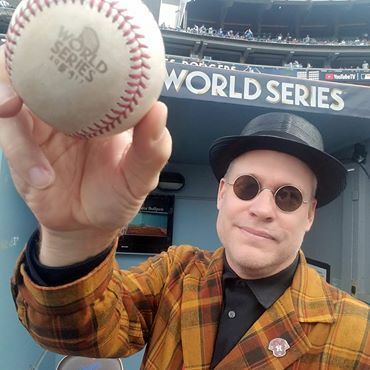 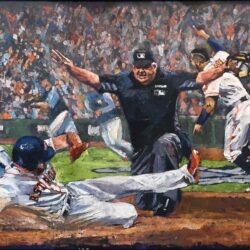 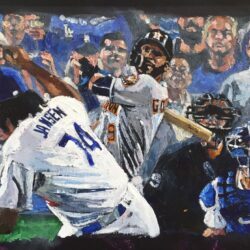 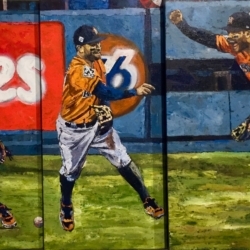 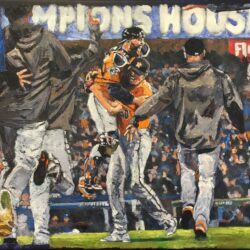 Throughout his sixteen years as an MLB sanctioned artist, Opie Otterstad has created the World Series celebration paintings for the Chicago Cubs (2016), Kansas City Royals (2015), Boston Red Sox (2004/2007/2013), San Francisco Giants (2010/2012/2014), New York Yankees (2009), Philadelphia Phillies (2008), St. Louis Cardinals (2006/2011), Chicago White Sox (2005), Florida Marlins (2003) and Anaheim Angels (2002), as well as many other of Major League Baseball’s most historic moments. 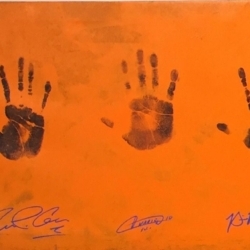 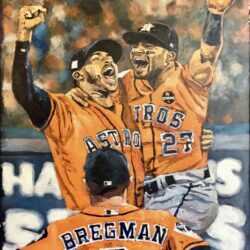 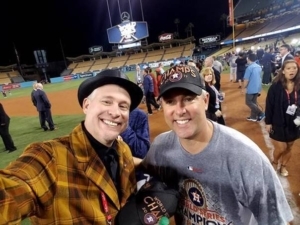 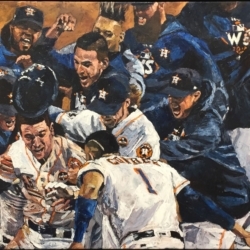 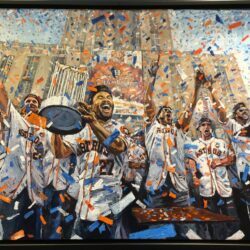 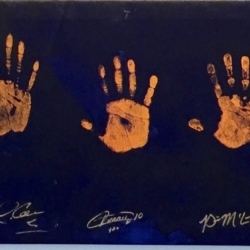 It’s now 2018 … and Opie has created an amazing collection to celebrate the 2017 Houston Astros historic win. 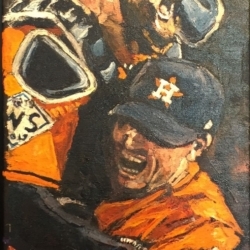 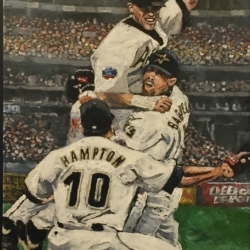 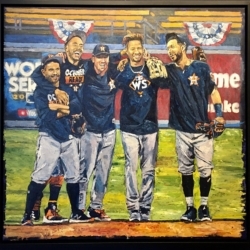 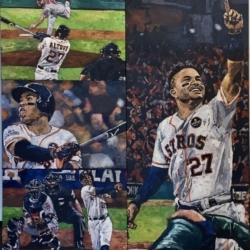 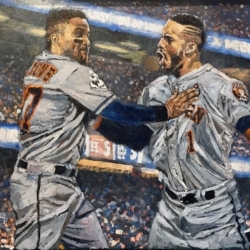 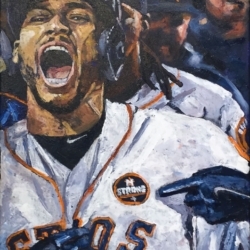 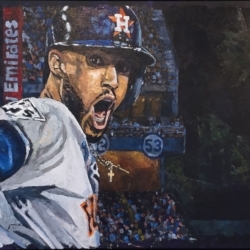 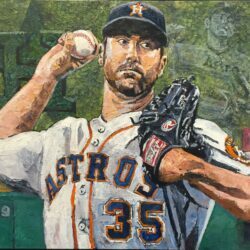 The “hometown” Texas artist is thrilled to premiere this exhibition, and cannot wait to greet his collectors and each and every baseball fan! 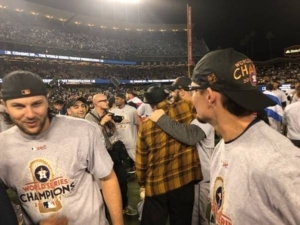 Opie was front and center throughout the spectacular 2017 season: traveling with the team, celebrating the many wins, and basically being a part of this World Series victory.